Many rugged industrial SSD applications owe credit to the innovation that was brought about by consumer demand for more powerful electronics, such as iPods, digital cameras and smart phones. It’s thanks to huge adoption within consumer devices that the cost per gigabit has become affordable for the masses and enticing for industrial innovators. The first adoptions of SSDs outside of consumer electronics were primarily made by high-end industrial and military system designers that required a better solution for rugged tasks than offered by hard disk drives. Those initial applications were limited to flight and mission data recorders, field computers for troops, GPS communication systems and other industrial applications where devices were required to withstand high vibrations or extreme temperatures. As the merits of SSD technology increased, the drives became an attractive option for single board developing computers, and were integrated into everything from edge routers and switches in netcom applications, industrial automation, control equipment to ATM machines and other forms of interactive kiosks and medical devices. Because of their lower power consumption and long product life in applications that require 24/7, or “always on”, capability, SSDs also offer dependability in tasks that require the highest endurance – making modern generations of SSDs true drop-in replacements for hard drives. The implementation of SSDs in the industrial market continues to rapidly increase thanks to unparalleled flexibility and new dimensions of applications. Because they only require a fraction of the system power of hard drives, SSDs are an appropriate choice for onboard storage even in the most space-constrained designs. Adding to their advantages, new generations of SSDs ingrate voltage detection technology to eliminate potential drive corruption in case of a power disturbance. The advanced SSD technology offered by Digistor’s industrial drives have been developed and designed to excel in a range of innovative applications that require unique specifications and features. Whether the application demands enhanced temperature, security, maximum performance or extended duty, there is a right Digistor storage solution for every industrial storage need. 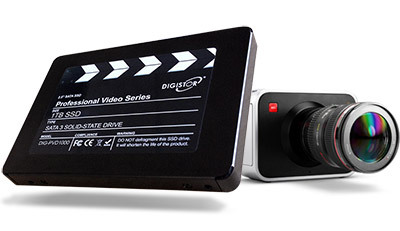 The popularity of using DIGISTOR Professional Video SSD’s for filmmaking shows no signs of slowing down, offering a perfect storage solution for media in television production. Thanks to their superior speed and extremely large storage capacity, even a single SSD is beats out multiple hard disks, due to instantly accessible storage without any mechanical lag. Despite fast, reliable video recording capabilities and effortless playback of compressed or uncompressed video, using a single SSD device can be too limiting in a busy broadcast or post-production environment without the peripheral attachments necessary to streamline your workflow. Since SSDs were not initially designed for external on the fly storage cartridges, the market has offered limited solutions for attaching SSD devices to your computer. Enter the Blackmagic MultiDock: Designed to provide an efficient data wrangling solution that meets the needs of busy broadcast and post-production environments. Available in two models, the Thunderbolt and Thunderbolt 2, the Blackmagic MultiDock allows users to transfer from up to four 2.5” SSD devices simultaneously, and is perfect for editing, color grading, or any task that requires large video files to be stored on multiple drives. With the MultiDock, you’ll even be able to “edit in place” without even having to copy your material across. An attractive and compact rack mount design, the four disk docking solution installs in seconds because it uses the disk drivers built into your Mac OS X and Windows Thunderbolt computer. Although Thunderbolt is a rare sight in the PC world (upgrade cards are available) it’s now pretty much universal in the Macintosh domain. Which means that if you’re an Apple user you now have access to a staggeringly fast, but easy to use, way to connect storage to your computer. But there’s more to the MultiDock than that – it can also be part of a RAID system. You can not only RAID up to four SSD devices within a single MultiDock, users can also daisy-chain up to six MultiDocks together (there are two Thunderbolt 2 connectors on each dock) for a total of twenty four disks on a single connection. By minimizing the time spent swapping external SSD drives and transferring media, the Blackmagic MultiDock aims to allow professional filmmakers and photographers more time to focus on what matters – their work. There are more storage options than ever for both consumers and business users, allowing them to customize their solutions as they see fit. The downside to this situation is that an individual can easily become overwhelmed by the sheer breadth of available platforms. Each form of data storage was designed for a particular purpose, so blindly choosing one could result in an unsuccessful implementation. That’s why it’s so important that people do their homework and look at the various strengths and applications of each format before investing in a particular option. By identifying the right tool that matches their needs, individuals and organizations alike can get an optimal solution. Let’s begin with one of the more buzzworthy platforms out there. Hosted data storage services have a number of things working in their favor. For one, users can theoretically access their files from nearly any location and with just about any device. 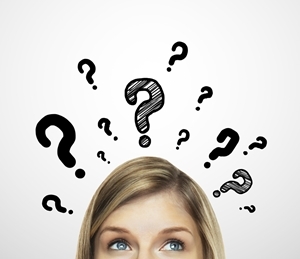 However, the cloud has a number of concerns that should give trepidation to anyone considering it as a primary method of storing important or unique documents. Security has long been a pervasive fear in this arena, as cybercriminals have many attack verticals with which to exploit vendor vulnerabilities and tap into user data. Another major concern is the reliability of the service providers in this nascent industry. There have been numerous cases of data storage providers experiencing outages that prevent users from accessing their hosted files. In some instances, vendors have even shut down operations with little to no warning, causing headaches for their former clientele. Next, let’s take a look at perhaps the most advanced data storage platform on the market today. Interest in SSDs has grown considerably in recent years as the technology’s manufacturing costs have dropped and performance demands across various industries have increased. As Forbes contributor Jim Handy explained, the enterprise SSD market has exploded over the past several years, going from an afterthought to what was a nearly $2 billion industry in 2013. SSD devices offer many advantages over traditional hard disk drives, particularly regarding read and write speeds. HDDs are hampered by their reliance on physical internal components. Whenever a user attempts to copy or load a stored file, they must wait for these devices’ read/write heads to move into position. The physical limitations of HDDs make them ill-equipped to cope with intensive workloads or critical processes. SSDs, meanwhile, use NAND flash technology to store data onto individual nodes. The removal of moving parts allows these devices to quickly launch important applications or boot up a computer’s operating system. This feature also makes SSD drives much more durable than HDDs overall. PCWorld contributor Lincoln Spector cautioned that the mechanical nature of HDDs makes them more vulnerable to hardware failure. Read/write heads and magnetic platters can be easily damaged, resulting in gigabytes or terabytes of lost data. Because SSDs don’t have these concerns, they can provide their users with far more peace of mind. This ruggedness has made high-performance SSD drives ideal for intensive industrial operations where working environments can feature extreme conditions and maximum uptime is essential. For the average consumer, however, the level of quality offered by these devices may be unnecessary. Where can consumers who want the affordability of HDDs but are concerned about their durability turn to? The answer may seem unlikely, but Blu-ray has proven itself to be an invaluable data archiving solution in both consumer and enterprise circumstances. Blu-ray strikes the right balance between scalability, ruggedness and affordability, enabling users to painlessly expand their archiving efforts without ever worrying about the integrity of their data. This way, if a primary storage device like an HDD ever malfunctions or becomes corrupted, a backup will be readily available. Ultimately, the right storage solution comes down to the individual or organization. Entities with high performance needs and intensive workloads will likely want to incorporate an SSD drive in some capacity. Meanwhile, users running lighter workloads may be content to lean on a regular HDD while taking advantage of a Blu-ray archiving solution. Regardless of the needs of a particular entity, the right combination of devices and platforms will make all the difference in the world. Unlike volatile RAM, a well-made SSD is meant to look after itself and your data. That means the ideal state for your industrial SSD is actually powered up! In fact, apart from any abnormal environmental stresses, such as exposure to static, extreme cooling or heat, your industrial SSD is designed to self-maintain for many years. But if a powered up state is optimum, and powered down doesn’t create any wear and tear, when is your SSD most at risk? Getting from one state to another is when an SSD is its most defenseless. SSDs perform more read/ write intensive tasks than HDDs: Because an industrial SSD is responsible for more complex internal data management and housekeeping, at any given point in operation, your SSD is likely performing vital tasks. With complexity comes risk, and it’s imperative that the SSD’s designer thoroughly design in what should happen in the short period of time in which circuits can still respond to controls. There can be billions of bytes in an industrial SSD: Many getting accessed faster than the speed possible by a spinning disk hard drive. All of this action must be managed when the industrial SSD system changes states. This means an SSD must use a wider range of power control schemes to protect against possible power drop offs during the write operation to the NAND Flash. Designers of high-quality industrial SSDs understand that some data corruption is possible when power is interrupted – despite the best efforts of the SSD’s manufacturer. But the key to creating a reliable and durable industrial SSD goes beyond design, to testing: Applying variable types of power disruptions at any times in the SSD firmware. A top-end industrial SSD has been designed and tested to make the difference between how much data in your SSD is corrupted and whether the SSD itself is usable when the power comes back up. If you’d like to learn more about Digistor’s industrial SSD solutions, call our sales team at 1(800) 816-1886. The market for rugged industrial SSDs has been around for decades. Solid state memory drives remain a dependable component in environments where equipment must be reliable despite disruptive shocks and vibrations. However, not many consumers are aware of the changes within SSDs on the market- including greater capacity for storage and speed, along with increasingly smaller sizes. After so much time since the first flash based drive was developed the use cases for an embedded industrial SSD remain the same, but there have been some great improvements under the hood. Industrial strength solid state drives are made to withstand a range of temperatures from minus 45 degrees Celsius to 85 C, making them sturdy enough for an even greater range of extreme tasks. Equally important are advances in the intensity of vibrations an industrial SSD can tolerate during operation without any disruption. The ruggedness of military-grade components has influenced the industrial market, allowing for stronger hardware that’s suited to even rougher jobs. The life of an industrial SSD has also been greatly extended with the implementation of wear leveling: now the process will utilize the all of the memory within the drive, before it rewrites old, deleted data. The advantage to wear leveling is a lot like it sounds because NAND flash (the memory used in SSD drives) has a finite write life. Spreading data around the drive ensures that cells are worn equally and helps increase the life of the drive- Much like rotating your tires. NAND, the flash memory used in industrial and high quality SSD drives, has gotten much faster than A-Sync NAND, which what’s used it lower cost drives that can’t work under the pressure of industrial-strength tasks. The better speed is due to NAND’s ability to read and write simultaneously (something A-Sync NAND drives are incapable of), making them more efficient and longer lasting. As users move towards relying on their computer systems for an increasing number of tasks, the speed of Industrial SSDs have kept up, both in performance and endurance. Advancements in high-quality industrial SSDs widen the gap between better and best. A decade ago the question may have been if you could afford to invest in a high-end storage device; now those with robust operations that call for industrial strength drives have to ask themselves if they can afford not to. 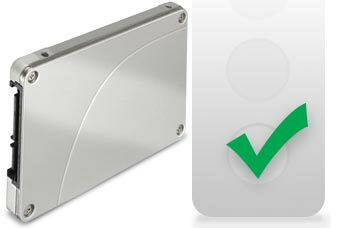 Protect your video shoot from data loss by choosing a certified SSD manufacturer. You’ve researched, read reviews, and finally found the perfect cinema camera that sets the standard in images and innovative experience. The right camera opens possibilities, so why choose accessories that could compromise the quality of your work? SSDs may all appear to offer the same simplicity and convenience, but they’re not equally made to compliment your professional equipment. Most modern SSDs are designed with a 7mm thickness, which doesn’t fit well with higher-end equipment such as Blackmagic Design’s Production or Cinema cameras. Those lesser-quality SSDs may include spacers to fill the gap, but these aren’t custom for your camera and inevitably rattle around in the slot, causing audible issues and weakening the drive connection with the camera. Our standard 9mm designed-to-fit SSDs isn’t the only reason DIGISTOR is a recommended retailer of SSDs for Blackmagic Design hardware, but we do test our SSDs to fit their professional cameras – making sure the only action in your film is outside the camera, not rattling around inside. Just because a drive is solid state, doesn’t mean it’s of equal quality. If you want to work with high-quality video that you can edit straight from the disk, you need an SSD that pulls its own weight by recording raw video without dropping frames. The average drive will falter when repeatedly tasked with processing high throughput video data. Others use hidden data compression algorithms to achieve the advertised speed, but can only process data at the rate their manufacturers claim when storing blank data, or simple files- and your images are anything but. When inferior SSDs are faced with constant video capture, their true data write speeds reveal the inefficiency of the drive. It’s estimated that some SSDs have up to 50% lower write speed than the manufacturer claims, which can cause costly reshoots or missed opportunities, when filming live events for example. A single frame drop can ruin an entire shoot. When you think about all the strain of an inferior drive trying to process raw images, it’s no wonder the NAND flash starts to degrade under the heavy workload, which can result in the total loss of your images without warning. To avoid moments where it’s too late, look to DIGISTOR for an SSD that employs drive-over provisioning. The process extends the life of your SSD by allocating a percentage of its flash memory as spare sectors, resulting in superior performance and endurance. To avoid missing your shot, or losing a frame, look for a Certified SSD manufacturer. Certified SSD manufacturers design with changing technology in mind and test their drives with different brands of equipment to ensure a perfect fit, as well as arriving shoot ready right out of the box. If you’re in the market for an SSD, view our range of Professional Series SSD drives. Our drives are recommended for Blackmagic video capture hardware, and our knowledgeable representatives will help you pick the drive that complements your equipment, ensuring a successful high quality shoot.